Easy Homemade Clamato Michelada. 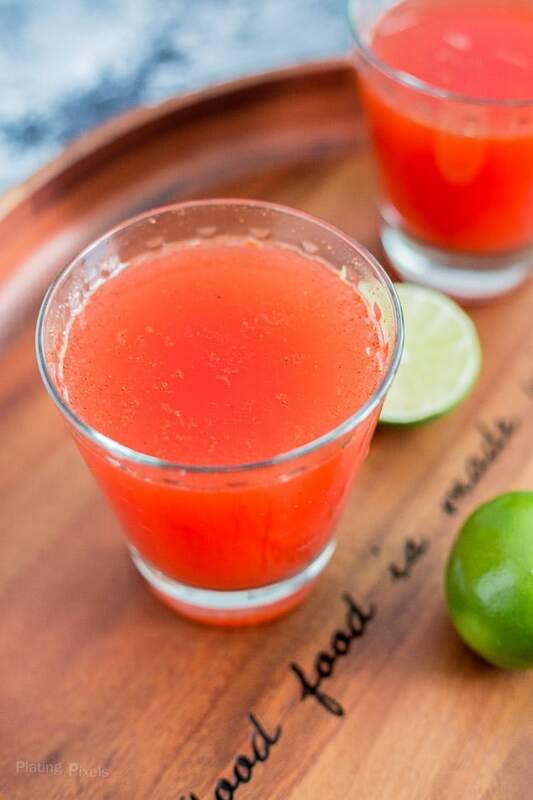 Only a few ingredients including Clamato, Mexican beer, lime and chili powder for a refreshing summer drink. 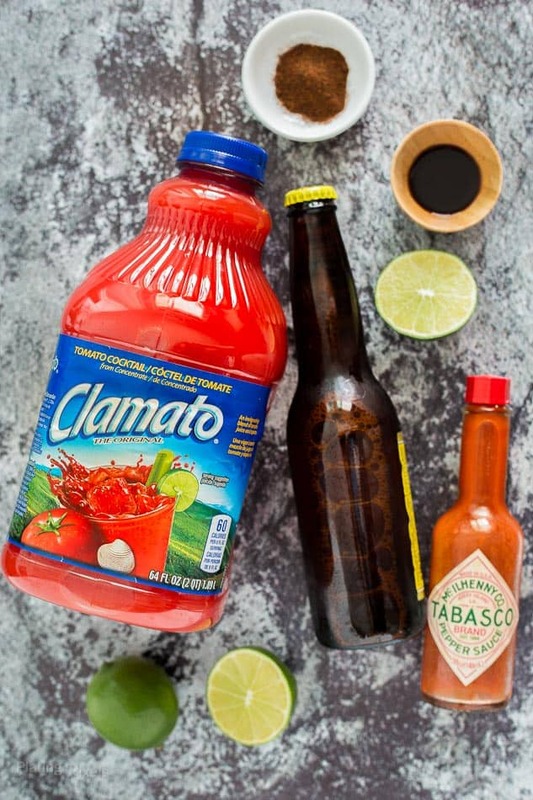 This Homemade Clamato Michelada is almost too easy to make. When writing the recipe, it felt a bit odd only having a couple lines of directions. I kept thinking of ways to expand it or add more details, but found it unnecessary. 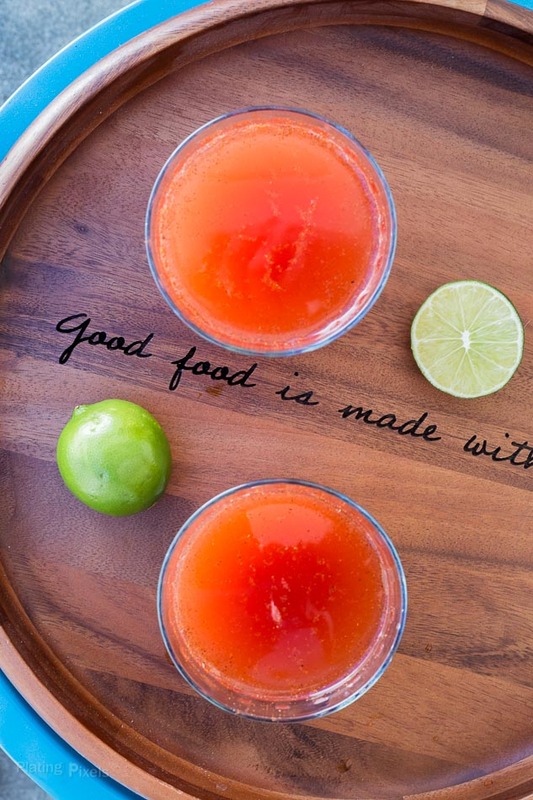 That’s the beauty of a homemade Michelada, and all the more reason to enjoy it often this summer. I’ve been hosting more gatherings with friends thanks to our new patio and grill. A few tasty apps, some drinks and good company is all you need to take advantage of the beautiful weather. One of my favorite ways to enjoy this time is with Micheladas. It’s also a regular for me when I go to Mexican restaurants. The unique flavors creates a simple, refreshing drink that goes with almost any dish. For the most authentic homemade Michelada, I suggest Clamato or another clam-based tomato drink. The combination of savory tomato clam juice with your favorite beer creates the base for this classic drink. Otherwise you can use any tomato-based drink, but may need to add extra spices such as chili powder. Try add-ons to modify the flavor and create your own Michelada. I like to add worcestershire sauce, hot sauce, and lime juice. Clamato, Mexican beer, lime and chili powder for a refreshing summer drink. Carefully pour chilled beer and Clamato in a glass. Lightly stir in remaining ingredients. Add ice cubes and serve immediately.